You can have the best website in the world, without visitors it will never produce customers. We stay current on all the evolving SEO tactics so you don’t have to. Search numbers continue to increase on mobile phones, are you losing customers to the competition? Getting ranked within Google Maps is critical to your growth. Need a highly targeted website that converts traffic into customers? We can help with that! We utilize the latest in responsive design to produce a highly effective webdesign for your business. PPC Marketing is a vital source of income for many growing businesses! We offer services to optimize and run your Google Adwords, Bing, and Facebook Ads! Know that your business needs to be “social” online but don’t know what to do? Want to focus on running your business and don’t have time to invest in social media? We are here to help! What does Build Your Online offer? Our goal is to create a platform that makes your telephone ring, drives customers to your front door, gets people to patronize your business, and fills the cash register. Isn’t that what you want the internet to do for your business? To obtain these goals we offer a variety of services including in-house web design and development, Google Maps marketing, YouTube marketing, local search engine optimization (SEO), and more. Together we create a professional web presence for your business that is designed to increase the number of calls you receive and drive revenues. BYO did an overall fantastic job, hands down. Communication from the first initial meeting, through the website construction, and follow ups after the site was created was great. I was thoroughly involved and had my questions answered in a way that I could understand. I could feel that BYO truly cared for my needs and wanted to deliver the best site possible. No doubt would I recommend them to anyone. 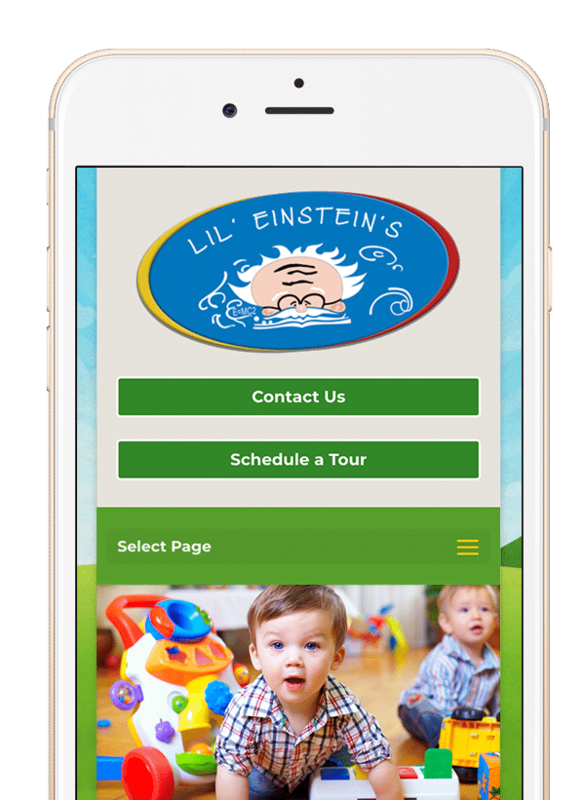 We teamed up with Lil’ Einstein’s Learning Academy and increased traffic, optimized ad spend, and more! I have been nothing short of amazed how well Justin has taken care if my Dental business. Im currently on page one if google. My phones are ringing and people rave over my website. Highly recommend. Build Your Online has taken my internet marketing to the next level. They moved us off of a template dental website and built us a custom designed site. The site is beautiful, which is nice, but it also has increased traffic. We are booked for months in advance now due to their marketing efforts! I am completely happy and thoroughly impressed with how the website has turned out, I will certainly recommend you to anybody that needs a website!!! I am very pleased with my new website! From start to finish everything I wanted to capture to promote my products and services are there. I’m impressed with the level of professionalism and attention that my project received. Thank you Build Your Online!! The response time and quality with which services are delivered are outstanding! Our Kids say thank you for your services! I had the best website built here by Justin McGonigal. He really knows what he's doing, and he goes above and beyond for his clients. Awesome work!